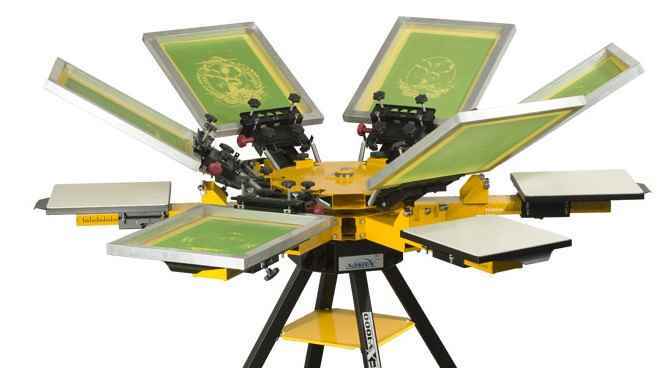 V-1000 screen printing presses are offered in tabletop and floor standing models from one-station/ one-color to 6-stations/ 6-colors in increments of one station and/or one color. Fully expandable, they allow growing shops to start small and add stations and print heads to boost output or achieve special effects. "HI Please let us know the cost of v-1000 & from where we will be able to import. Thanks"
"I need a manual screen printing machine along with curing machine .please revert back along with quotation at email and physical address: RAhul Enterprises, Shanti Apartment, Ground Floor, Shradhanand Road, Opp. Congress Office , Ranchi -834001, M:7280800766 "